A degree in science, technology, engineering or math can be valuable for virtually any industry. Colleges are realizing they need to provide the resources for today’s students to become tomorrow’s workers. 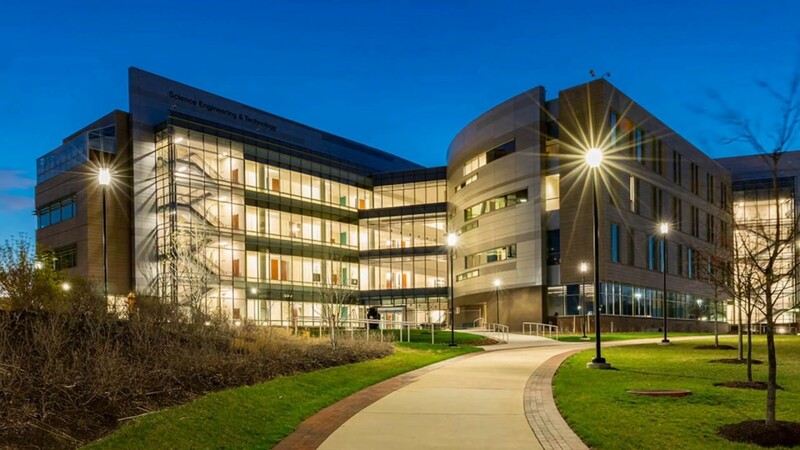 To attract students interested in these fields, Howard Community College in Columbia, Maryland invested in a new Science, Engineering, and Technology Building, which opened in the summer of 2017. EMJAY Engineering and Construction Co., Inc., of Baltimore, provided the STEM brainwork behind HCC’s new 146,000 square foot, state-of-the-art educational facility. They installed the heating, ventilation and air conditioning (HVAC) systems, including two chillers, two cooling towers, and air handlers that serve the laboratories and classroom spaces. For their work, EMJAY won ABC Baltimore’s 2017 Project of the Year for a Specialty Contractor, Mechanical Construction. The General Contractor on the project, Gilbane Building Company won Project of the Year under $100 Million at ABC Chesapeake Shores 2018 Excellence in Construction Awards. See the project for yourself.